Here is my first Healthy Alternative post. I'm very excited to share this new journey with you. I am hoping you find my reviews useful when deciding what recipes and products work best for you. My first Healthy Alternative is a product. It makes a good soda alternative. 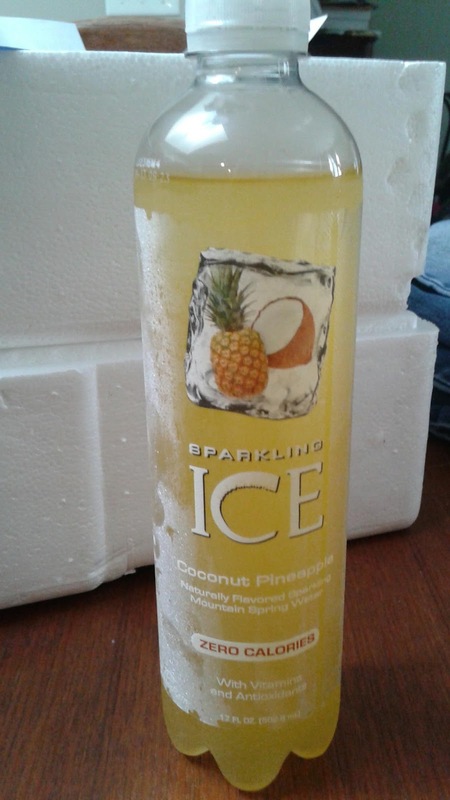 Sparkling Ice is a naturally flavored sparkling mountain spring water that has zero calories. It contains vitamins and antioxidants. Looking at the nutrition facts on the back of the bottle, I was surprised. In comparison to my caffeine free Pepsi which has 150 calories per serving, 30mg of sodium, and 41g of Carbohydrates. Sparkling has none of any of those bad things. In fact it has vitamins D, B3, B6, B12, B5, and Biotin. The Pepsi contains things like high fructose corn syrup and Sparkling Ice has juices to sweeten the taste. I had the Coconut Pineapple flavor which was pretty tasty. Would of been better if there was rum in it but still it was a great refreshing carbonated drink. There was green tea extract in there as well which gives it that antioxidants boost. The only problem I found with it was it had yellow #5 and yellow #6 in it. These are the same dyes that are why I have stopped eating the US version of Kraft Mac and Cheese. I failed to read the whole label before buying and drinking. There are plenty more flavors to try which I plan on doing and I will continue to post my reviews on those and other healthy alternatives. Thank you for reading. Comment below with any suggests on healthy alternative for me to try.